The Site Index reflects the scope of dog related facts and information available. The information is clearly presented and easy to navigate. The facts, information and pictures of the various dog names and breeds provides an interesting and illustrated educational resource for dog lovers of all ages - check out the link to the History of Dogs and Canine Health with our Online Encyclopaedia of Common Dog Health Problems. 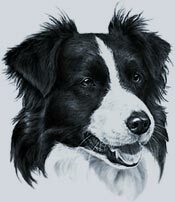 The Site Index detailed above provides a doorway to all of the various sections of the Dogs Names and Breeds Web site. All of the famous and popular dog names and breeds have been featured in this site together with a section dedicated to Rare and Other names and breeds of dogs. Every one of the dog breeds have been covered in considerable detail and provides a whole host of interesting information. You can access full details of the breeds of your choice via the Group Dog Breeds, such as Sporting or Hound Dogs or via the Dog Breeds Alphabet ABC List. A unique feature for each of the dog names and breeds are the pictures of the dogs which provide a size comparison between full size dogs and an average man and woman - at last an answer to the age old question "I wonder how big the puppy will become?". 1000's of Girl and Boy Puppy and Dog Names to choose from! Choosing the right name for your dog is great fun and also an important decision. We have a unique dog names dictionary together with different sections on of famous names, popular names, funny names, unusual names, good names, top names, cute names, cool names and unique names. A great selection of Girl Dogs and Puppy Names, Male Dogs and Puppy Names, Popular Dogs and Puppy Names, Cool Dogs and Puppy Names, Unique Dogs and Puppy Names, Cute Dogs and Puppy Names, Unusual Dogs and Puppy Names, French Dogs and Puppy Names, German Dogs and Puppy Names, Female Dogs and Puppy Names. We have also provided Puppy and Dog Names by Breed. Man's passion and pride in his dog led to the desire to show his dog and compare it to similar dog breeds. The organised dog shows were therefore born in the middle of the 19th Century. Problem ! At this time the dogs were unidentified except for their kennel names! This led to real confusion - there were lots of dogs with the same dog names - Rover, Spot etc. These personal dog names insufficiently described the dog according to its breed or type. Organisation was required - descriptions and breed standards were needed - the Kennel Clubs were born! Official Standards for many dog breeds are produced by the Kennel Clubs. Two major Kennel Clubs are the Kennel Club (KC) of Great Britain and the American Kennel Club (AKC). A dog breeds standard is simply what the ideal dog of that breed should look like. Each AKC recognised breed of dog by size dogs and dogs A -Z index. There are a total of 157 types of dog breeds recognised by the AKC (American Kennel Club). The names of dog breeds are separated into different dog types which are referred to as Dog Groups. A Kennel Club unrecognised breed standard can obtain recognition once the breed has become sufficiently established within the country. Considerable research is conducted into the historical background, health and temperament of any new breed before Kennel Club recognition is granted. This site covers an additional 22 dog breeds which have been grouped under the title of Rare and Other Breeds. Each of the main groups have been explained together with information about Sighthounds and Scent Hounds. Individual dog names information is covered separately and provides details of history and origins of dog names and breeds, details of height, weight, coats, colors, character, temperament, care and grooming - there are even details of potential health problems for each of the dog names and breeds! Our visitors have requested that a section on common dog health problems are included on this website. We have described the most common health problems concisely but simply without using medical jargon. The Online Encyclopaedia of Common Dog Health Problems may be accessed by clicking the above link to Canine Health. Our section on Dog Names History and the Evolution of Breeds will take you on an informative and interesting journey starting with the wolf and ending with the modern day domesticated dog breeds. There are some funny and amusing quotes and poems. A Dog Forum where you can chat to other Dog lovers, share problems and ask questions! A totally interactive Dog Quiz - if you manage to complete it you can add your name and comments to the Hall of Fame! Check out our section of the most famous Dog names in the World! From Toto in the Wizard of Oz to the Russian Space Dogs. There is even a section dedicated to the dog names and breeds of the Presidents of the United States of America. "What shall we call our new puppy?" - We have provided a 1000's of Girl and Boy Dog and Puppy Names to choose from! Choosing the right name for your dog is great fun and also an important decision. We couldn't list them all on one page so we have developed a Dog and Puppy Names Dictionary! It's different and its fun! There are Popular Dog and Puppy Names, Unusual Dog and Puppy Names, Cool or Cute Puppy Names and we even provide guidelines to creating unique Dog and Puppy Names! Dog Names and Breeds - A Comprehensive Site? We have tried our best! Our standards are high and we are delighted to receive any comments from our visitors regarding the site or with ideas or suggestions of how we can improve or expand the site! Our aim is to provide a fully comprehensive site for Dog Lovers of all Names and Breeds. 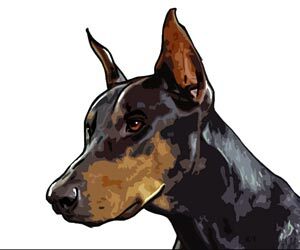 Each AKC recognised breed of dog by size dogs and a dogs a-z index - If you like this site try our informative Baby Names website.